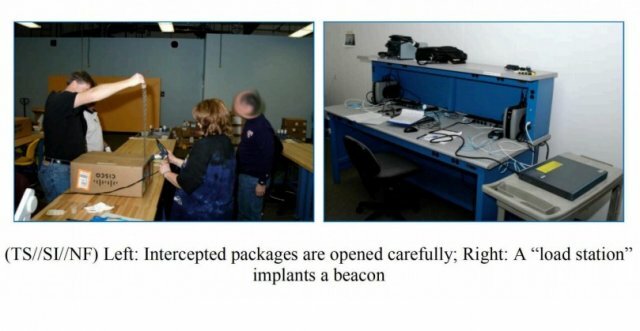 The document, a June 2010 internal newsletter article by the chief of the NSA’s Access and Target Development department (S3261) includes photos . . . of NSA employees opening the shipping box for a Cisco router and installing beacon firmware with a “load station” designed specifically for the task. In a letter dated May 15, John Chambers, chief executive officer and chairman of the networking equipment giant, warned of an erosion of confidence in the U.S. technology industry and called for new "standards of conduct" in how the NSA conducts its surveillance.